Brian is responsible for leading large IT contracts in areas such as IT integration, managed services, vendor management, and program, change, risk, quality, and performance management for the US Department of Education, the Commonwealth of Pennsylvania, the District of Columbia, and others. A key project success includes savings of more than $30 million in just three years for the Pennsylvania Information Technology Staff Augmentation (ITSA) program while expanding its utilization by 60% across statewide agencies. Brian is a Certified Project Management Professional (PMP) who has more than 15 years of experience in IT management across federal (Department of Education, Department of Housing and Urban Development, Department of Energy, and the United States Postal Service), state, and local government, the private sector (financial and telecommunications), and non-profit education sector. 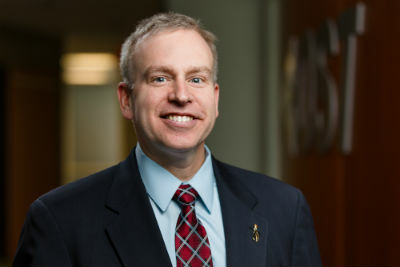 He has led IT enterprise transformation for multiple government agencies, including data center consolidations for the NRC and Department of Energy (DoE), cloud adoption for the DoE and state/local governments, and government and commercial off-the-shelf integrations and cyber security assessments and plans of actions and milestones remediation for the Department of Education and the DoE. Over his career, he developed and facilitated a first-time leadership development program, graduating over 20 rising stars, and led multiple programs recognized nationally for performance with awards, including the President’s Management Award for Quality, Excellence.gov, and Computerworld Honors. He is ITIL v3 Foundations certified and a practitioner of CMMI Level 5 and ISO 9001:2008 processes and principles. Brian graduated from The College of William and Mary with a bachelor’s degree in mathematics and a minor in computer science. Prior to joining OST in 2009, he served in management positions at BB&T (formerly known as First Virginia Bank) and The College Board. Brian is proud of the time he spends invested with others, both in his professional life and in more charitable settings. He is the Chairman of The Ashley Fister Cole Foundation, a charity dedicated to melanoma research and education, and is a fellow with the American Council for Technology/Industry Advisory Council (ACT-IAC).